Free Mp3 Converter is very easy to use, and will convert to mp3 music with bunch of options. MP3 Converter has 2 mp3 convert modes, individual and batch mode. Batch mp3 converter supports mp3 convert of all major audio formats. Individual mp3 converter convert to mp3 with variable bit rate encoding, adjustable bit rates (30-320 KHz),CPU priority adjust , mp3 convert IO frequency adjust. 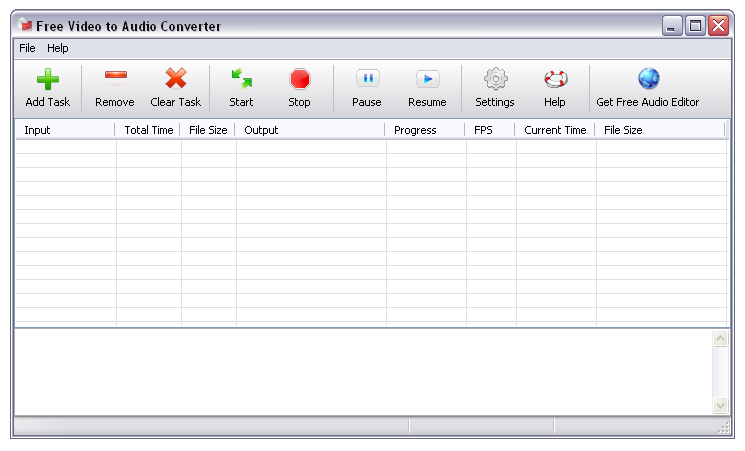 Mp3 converter has various sampling rates, different encoding modes (Mono, Stereo, Joint Stereo) and many other options. 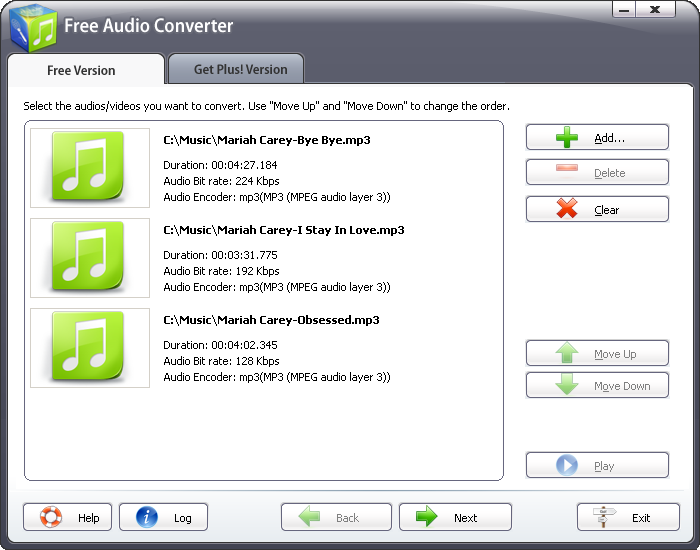 Individual file mp3 converter is a one way converter to mp3 only, while batch mp3 converter supports two way audio conversions. Mp3 converter is free to use and does not contain any form of viruses, or adware.